A Country that can become a place of War anytime in upcoming months or years is Iran if Israel or United States do possible attack on it. Keeping these things in mind Iran is taking many steps such as Making new Missiles, Strengthening its Arm Forces and working on Nuclear program. 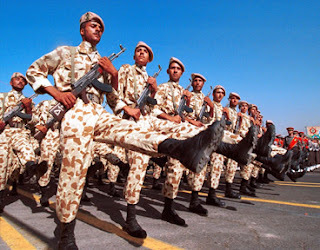 According to report of Press TV Iran is planning to increase its defensive power by bringing some major changes in the Army in upcoming days. Iranian Commander in Chief Ayatollah Khamenei has approved these changes in the army. A Top Commander of Iranian Army General Ahmad Reza made the announcement about these changes in army on Thursday that are seen with Interest in Washington and Tel Aviv.